Free rock climbing on your birthday? I’m all in! Today, my daughter and I climbed walls like this for two hours. Talk about sore fingertips and stiff lats! 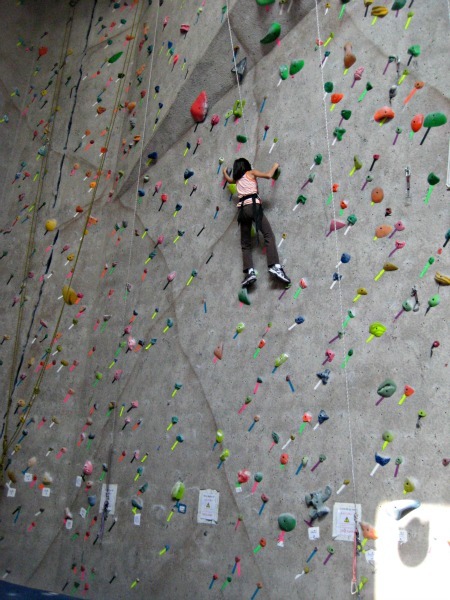 I always wanted to try rock climbing, and having her free day pass made it easy for me to try. It was a low risk when I didn’t put a lot of money into the experience. I have a personal policy of not spending double-digit money if I’m not going to spend at least half a day at a place. I also have a personal policy of having the drive time equal or be less than the time spent at my destination. We didn’t splurge and rent shoes, although I would consider it now that I’ve tried climbing with street shoes and later examined climbing shoes. I would still consider shoe rental a splurge or luxury, because we topped out for half of our attempts, didn’t get blisters despite feeling motion inside our shoes, etc. Unless we took a class and gained permission to belay, I don’t know that shoe rental is in our future. Climbing is something that I recommend. If you are physically able, give it a try. I heard that one of our local YMCA branches (the south one) has a climbing wall, but I’ve not experienced it. I feel like climbing, finding your way –easy or hard– along the wall, is a metaphor for almost any life situation. 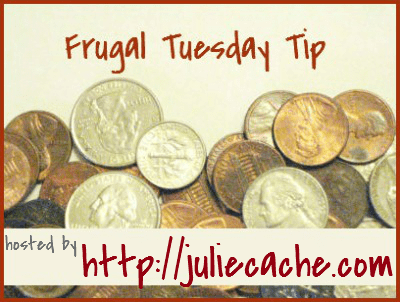 This entry was posted in frugal family and tagged frugal tuesday tip, rock climbing. Bookmark the permalink. Okay, that rock wall looks amazing — all of the ones I’ve seen around here have been pretty basic and boring – that looks like a fun time… Where was this at?! We love Climb Iowa! It’s such a great experience for the kids. The instructor was so amazing working with my then-4-year-old. And their prices really are quite reasonable. Pingback: Whole Wheat Yogurt Biscuits for $.07 a Piece | Real Food. Real Deals.